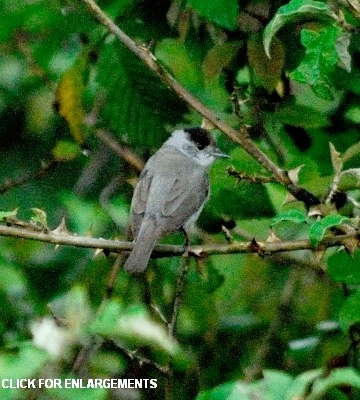 The blackcap is a palearctic migrant seen in Tanzania from September to May. The upper male was at Simba Farm-West Kilimanjaro (2-18), courtesy of Michael Harris. 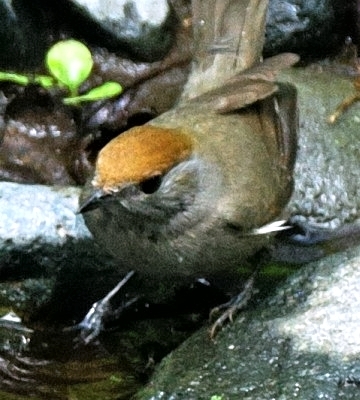 The lower right female, was in the Meru Forest (11-07); the lower left male, in the Nou Forest (1-08); click it to see seven enlargements.